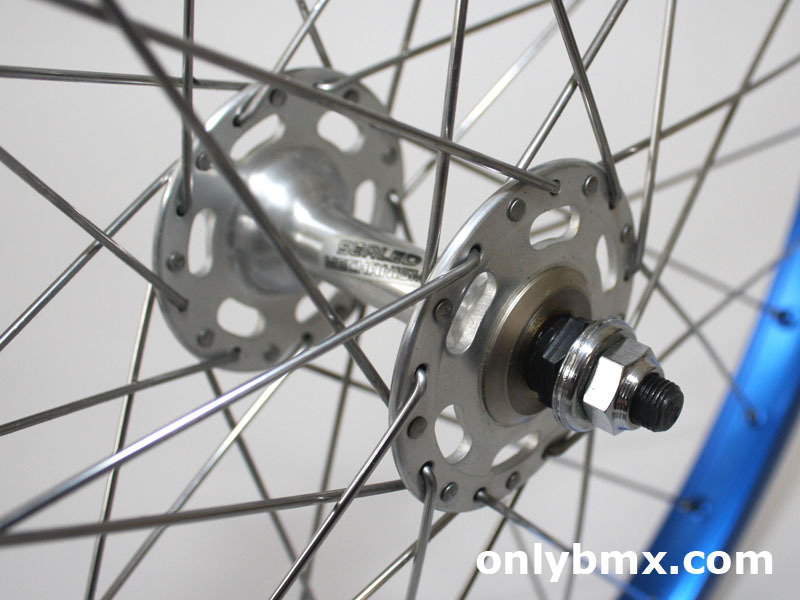 New 24″ cruiser BMX wheel set. 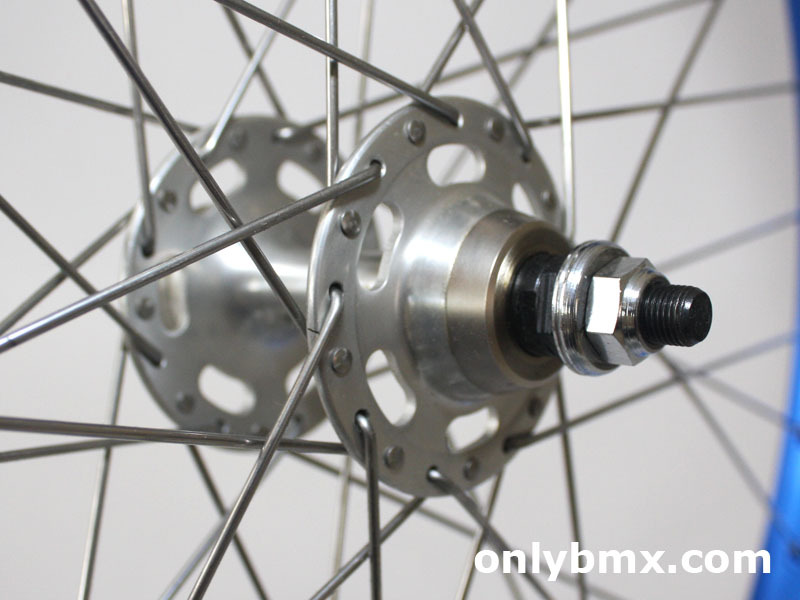 24″ Araya 7X rims laced to Shimano DX Silver Series hubs. 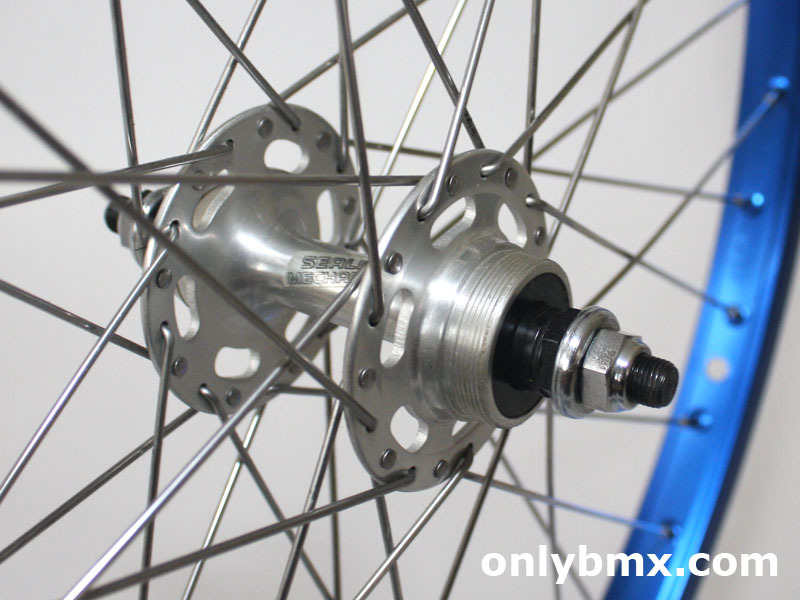 These hubs are a sealed mechanism high flange hub and not like the regular sealed bearing hubs. 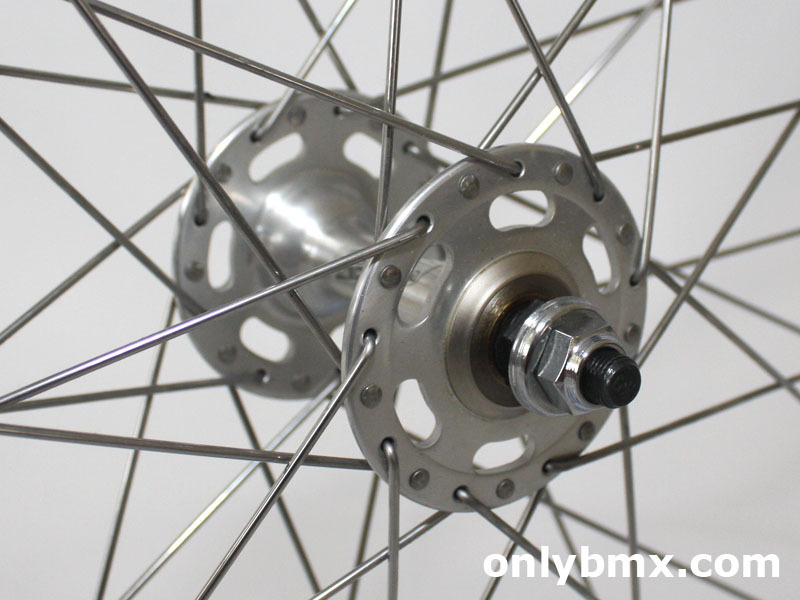 That said, they spin so smoothly. 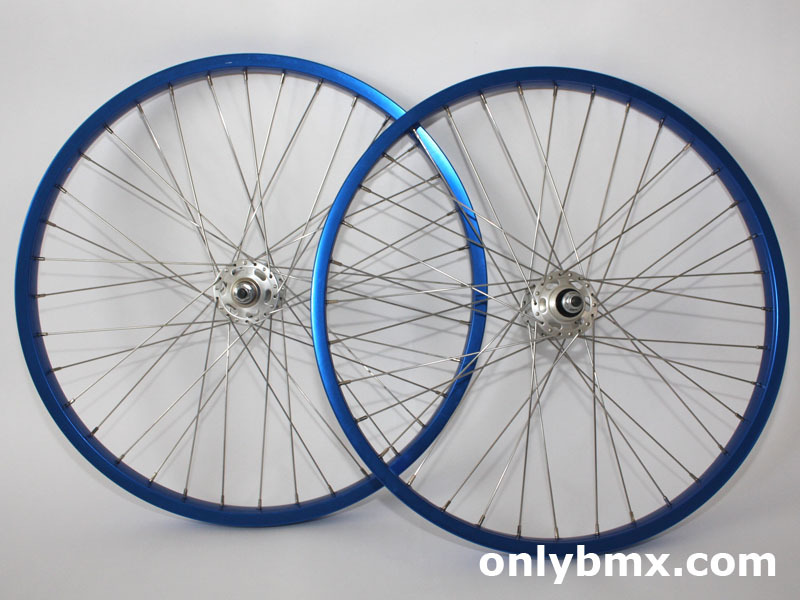 Hubs were NOS before being laced to the rims. 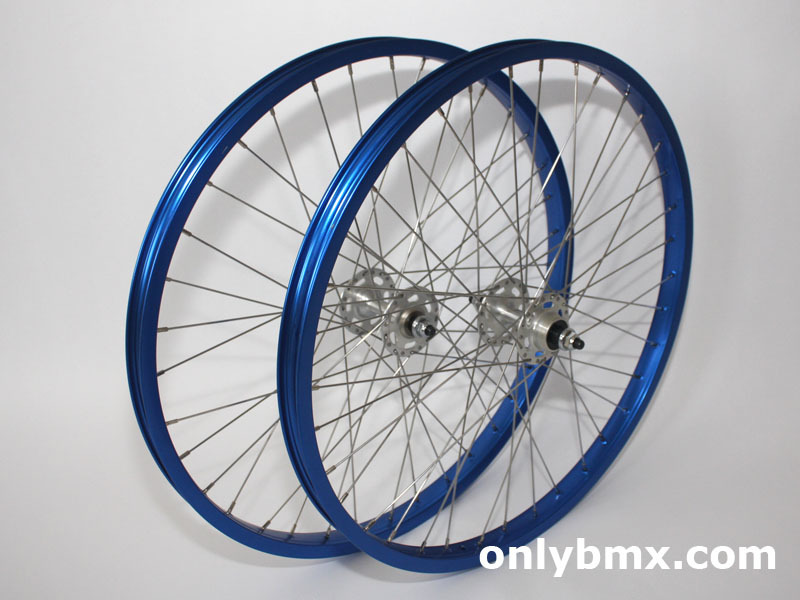 The rims were also NOS in silver and were anodised blue. 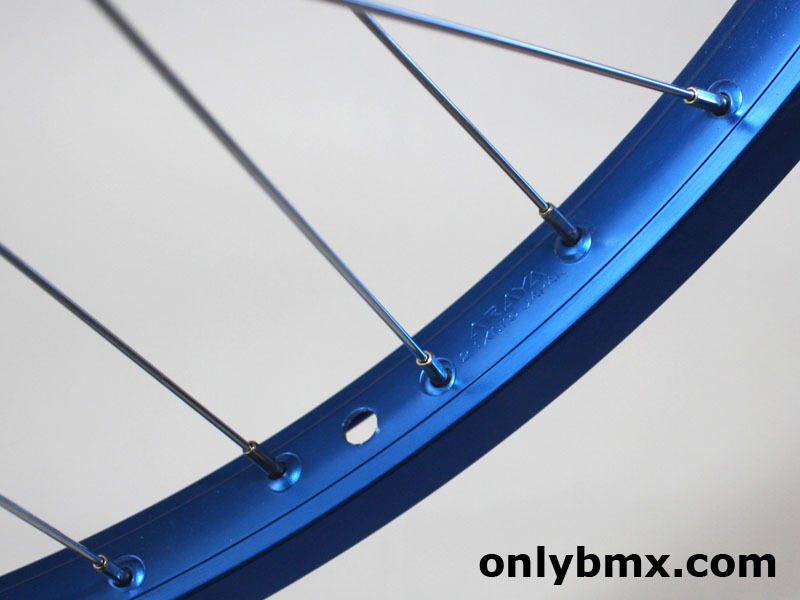 This has to be the best thing I have ever had anodised as the blue is a perfect shade. The hubs have 10mm chromoly axles and are in the original silver rather than shiny colour, just as I pulled them from their box. Never been mounted and originally to be used on a Floval Flyer, that’s not going ahead so they are up for sale.